Rachel Hutsell Photographed for Pointe by Jayme Thornton. This is Pointe's June/July 2018 Cover Story. You can subscribe to the magazine here, or click here to purchase this issue. "I'm very cautious by nature," Rachel Hutsell says over herbal tea at Lincoln Center between rehearsals. You wouldn't think so from the way she moves onstage or in the studio. In fact, one of the most noticeable characteristics of Hutsell's dancing is boldness, a result of the intelligence and intention with which she executes each step. (What she calls caution is closer to what most people see as preparedness.) She doesn't approximate—she moves simply and fully, with total confidence. That quality hasn't gone unnoticed. Even though she has been at New York City Ballet for less than three years, Hutsell, 21, is regularly cast in a wide variety of repertoire. She has already collaborated with several choreographers, including Troy Schumacher, Gianna Reisen, Peter Walker and Justin Peck, on new works. "She's not afraid to make mistakes," says Peck, who has used her in two premieres, The Most Incredible Thing and The Decalogue. "And she's open to exploring new movements." Openness like Hutsell's is an essential quality in a young dancer at NYCB, a large company where a new arrival can easily get lost. An apprentice walks into a fast-paced environment in which corps roles must be learned in quick succession and executed at a very high level, right away. "I got my first taste of real independence and professionalism, but it was really hard," says Hutsell, who became an apprentice at 18. She had to perform 20 corps roles and learn even more than that as an understudy her first year. "It was a definite shock." For newcomers, there is the added pressure to be seen as uniquely valuable—after all, an apprentice is not guaranteed a permanent company spot. Two weeks after the company's return, she was offered a corps position. Soon, she was working with NYCB's then-ballet master in chief Peter Martins on a revival of his 1980 ballet Eight Easy Pieces, an experience she considers a milestone in her young career. He gave her lots of feedback, she says, even molding the role a little bit to her strengths. Early on, her dancing caught the attention of a senior colleague, Troy Schumacher, who began working with her while she was still an apprentice and invited her to perform with his own company, BalletCollective. He had been struck by her work ethic: "I noticed her attack and drive in our morning class. When grand allégro came around, I would watch Rachel." Hutsell wasn't always destined to end up at NYCB. Growing up in Houston and Katy, Texas, with two younger sisters and busy doctor parents, she went to Allegro West Academy of Dance. The school followed the Royal Academy of Dance curriculum, a gradual, methodical approach that stresses placement and clean technique. It wasn't a natural fit, at least at first. "I was a very energetic child, and I had this expansive imagination that took a lot to rein in," says Hutsell. The Hutsell family. Photo Courtesy Hutsell. The daughter of a Caucasian father and an African-American mother, Hutsell was also one of the few dancers of color at the school. (Eventually, her sisters Regan and Rosalyn joined her.) But it was never an issue, she says, because the studio was small and extremely personal: "I had my sisters. There wasn't a whole lot of diversity because there weren't a whole lot of us." She could also rely on the protective guidance of her mother, Romanda, who had herself been a member of a small company called Southwest Jazz Ballet before going to medical school and becoming a pediatrician. 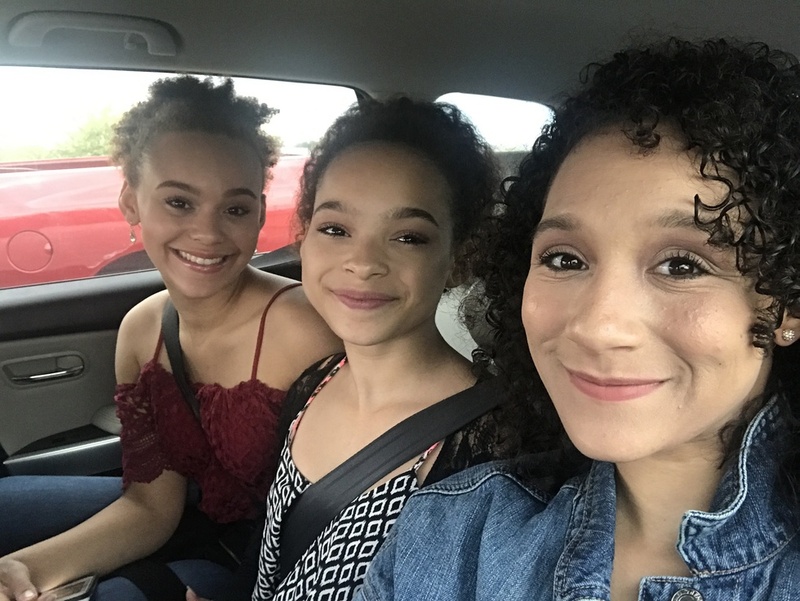 Her mother was a model of work ethic: In between making house calls, Romanda homeschooled her three girls to be more involved in their education and upbringing. At 15, after entering several editions of the Youth America Grand Prix competition (where she didn't earn any medals but got a sense of the larger ballet world), Hutsell auditioned for the School of American Ballet's summer program and got in. Afterwards, she was hooked; the Balanchine technique just seemed to fit her body. "It was so powerful and so athletic, the big jumps and the quick preparations. I went from being afraid to do a double pirouette to confidently doing doubles, even triples." After that summer, she was asked to stay on at SAB for the school year. She was delighted. But it was also at the larger school, where there was only one other African American in her class, that she became more aware of ballet's racial disparity. "I was like, 'All right, there's two of us. Something's wrong here.' " The imbalance is also apparent in the company, though that is beginning to change, with the arrival of promising young dancers like Olivia Boisson, Christopher Grant, Preston Chamblee, India Bradley, Kennard Henson and Hutsell herself. 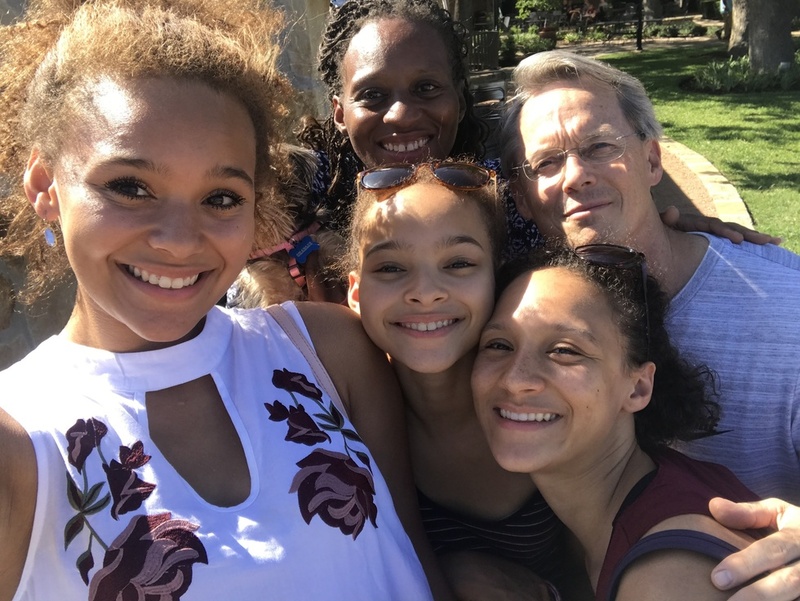 She sees this as an encouraging sign, especially when she visits her sister Rosalyn, now 14 and currently enrolled at SAB: "I'm really happy to see the new classes there. There are more brown faces. Things are changing." With members of NYCB in Gianna Reisen's "Composer's Holiday." Photo by Paul Kolnik, Courtesy NYCB. For Hutsell, NYCB now feels like home. The schedule can be grueling—she danced nine different corps roles and one featured role during the winter season—but she realizes that it's a necessary rite of passage. "The time of rest will come, but it's not now," she says. "Now I just need to keep pushing." There is a long list of roles she'd like to take on one day. At the top are Juliet ("I'll take any version") and Dewdrop in Balanchine's Nutcracker. Hutsell balances the intensity of her rehearsal schedule with an interest in literature. Her favorites include Pride and Prejudice and The Catcher in the Rye, and she writes poetry on the side. Writing helps her process her experiences and overcome moments of doubt and stress. Once her career is a bit more settled, she hopes to start college. Maybe, she says, after she stops dancing, she'll study to become a marine biologist. Rachel with her sisters Regan (far left) and Rosalyn, both of whom are serious ballet students. Photo Courtesy Hutsell. Her sense of balance has helped get her through the current period of turbulence at NYCB, with the departure of Peter Martins after allegations of sexual harassment and violence against dancers (which he denies, and an independent investigation was not able to corroborate). As has the sense of camaraderie within the company. "I think as a collective we're banding together and lifting each other up," she says. This upheaval, however dramatic, hasn't shaken her sense of herself, or her future, no matter who takes the reins next. (The company is currently being directed by a four-person interim artistic team led by ballet master Jonathan Stafford.) In a way, Hutsell is lucky that she's still starting out; she hasn't spent years forming an artistic identity, or conforming to one director's tastes. "I'm still creating myself," she says, "so for me, there will be no need for a remake."